The Arlberg region can be accessed by both the A12 Inntal highway (Arlbergpass) in the east and the A 14 Rheintal highway (Flexenpass) in the west. 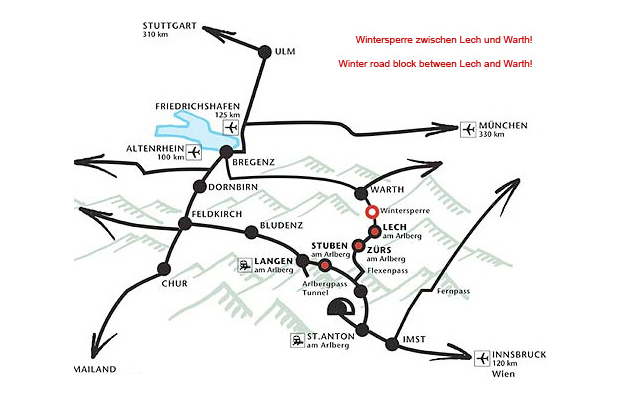 Please note that there is a winter road block between Warth and Lech. Nor is it possible to reach us via Bregenzerwald or Lechtal in winter. 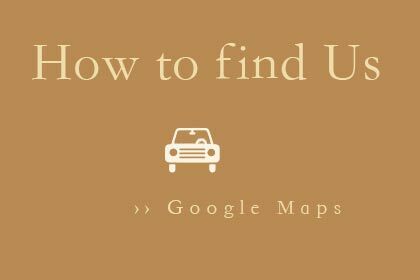 FlugZurich airport (2 h), Innsbruck airport (1 ½ h), Altenrhein airport (1 ½ h), Friedrichshafen airport (1 ½ h), Munich airport (4 h).